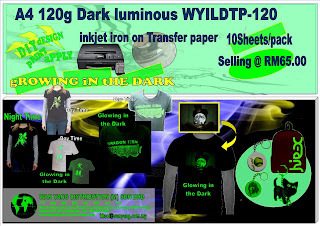 A4 120g Dark luminous Inkjet iron on transfer paper WYILDTP-120 10sheets/pack use with household iron or hot press machine. 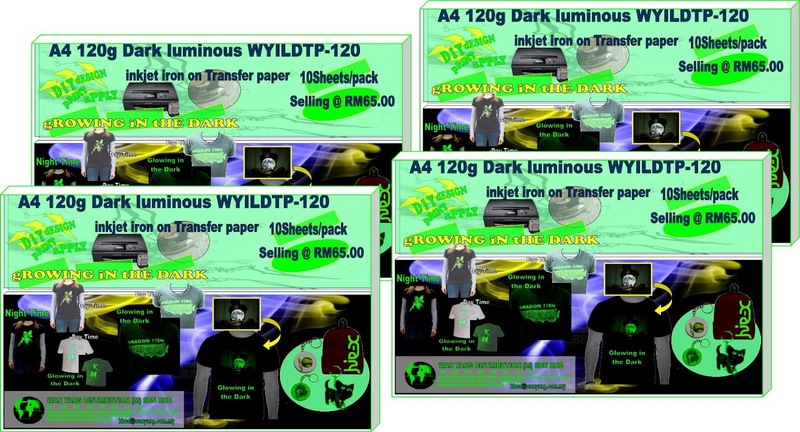 Completely new inkjet USA TMAX luminous transfer paper of updated version appears on the market with glory. ·Technical note: peel off backing paper, pint face up and cover release paper at an angle of 180° with 10 seconds of warm and then tear off the release paper. 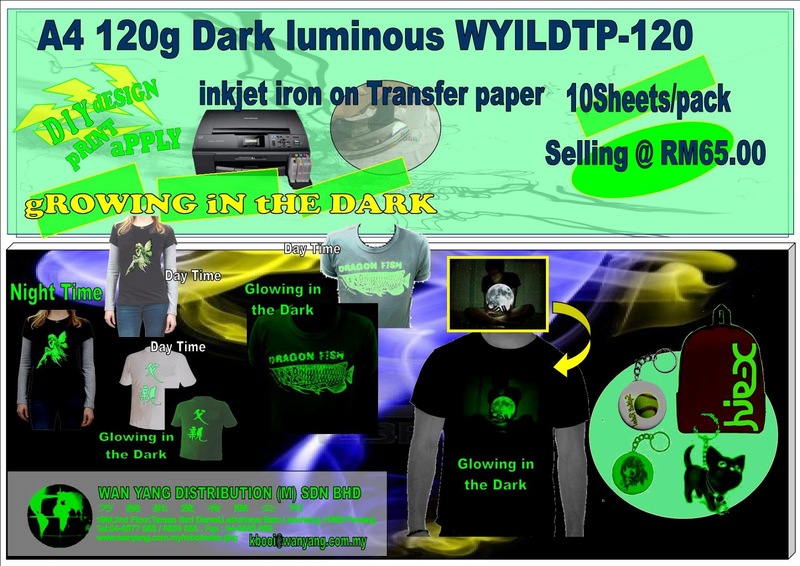 To print your own designs or photo image onto light and dark colored T-shirts, hat, school bag, recycle bag and etc. 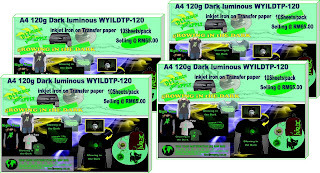 Good quality and image output.